The author undertakes an intellectual journey into the hidden past of the Polish history after 1939. He deals with Holocaust, collaboration, totalitarian rule, crisis of communism in Eastern Europe as well as Polish-Jewish relations during the war. The author is a founding father of a new approach in Holocaust research in Poland in which he has taken it from out of its intellectual ghetto as a strictly Jewish subject and repositioned it at the center of Poland’s wartime history. 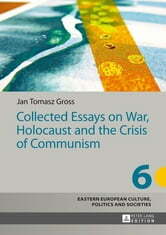 Among other topics, the collection of essays deals with Jewish community in the Soviet annexed territories on the eve of the Holocaust, opportunistic killings and plunder of Jews by their neighbors and Poland’s development from a civil society to a political nation.